...convert rust and prime all in one step! Not all rust converters perform equally. 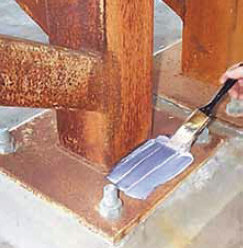 Corroseal Rust Converting Primer was formulated specifically for use in the marine industry - one of the harshest environments for coatings. 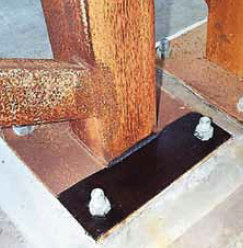 There are considerable differences in formulas and performance between the various rust treatment products available. 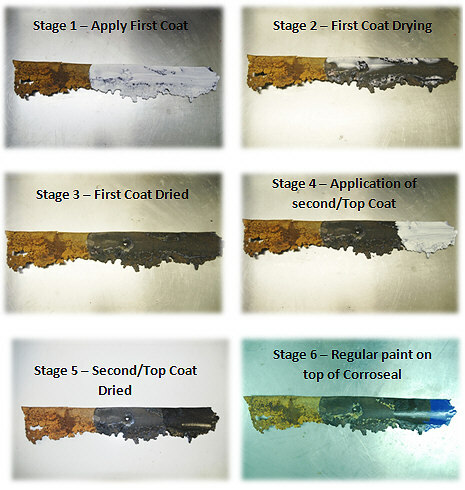 Corroseal has proven performance for over 25 years in harsh environments, which cannot be said for many competing rust converter type products. Corroseal is applied by brush, roll or spray in a heavy white coat with no surface show through at 8-10 mils wet film thickness. When black color appears, rust conversion has started. 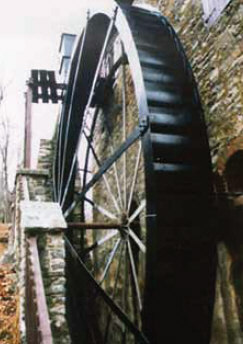 A decorative farmhouse water wheel, rusted and weathered. Corroseal forms a purple black to black surface over rusted areas when dried. Wait 24 hours for Corroseal to cure, before top coating. 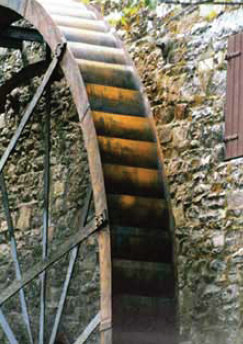 Farmhouse water wheel after being restored with Corroseal Rust Converter.